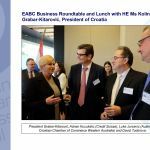 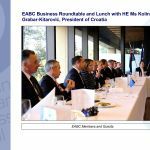 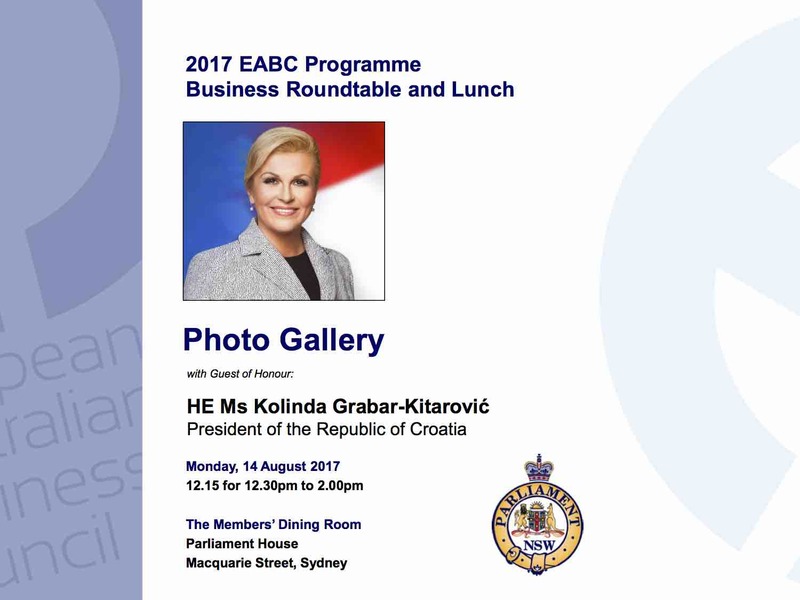 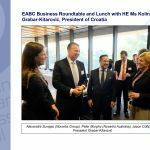 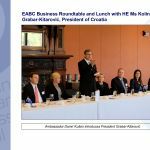 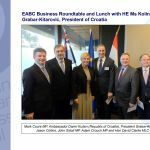 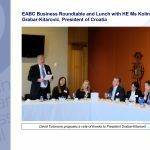 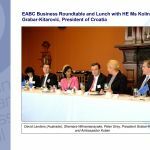 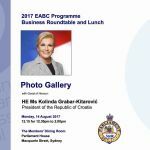 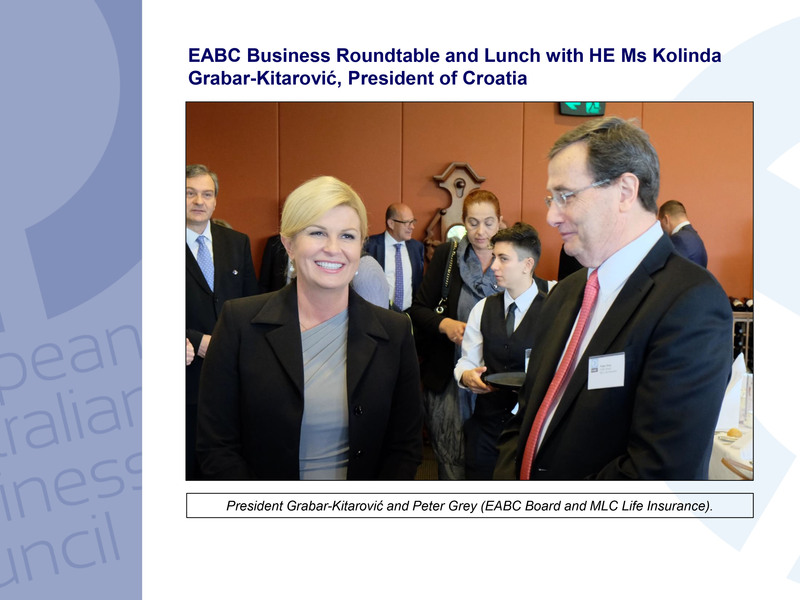 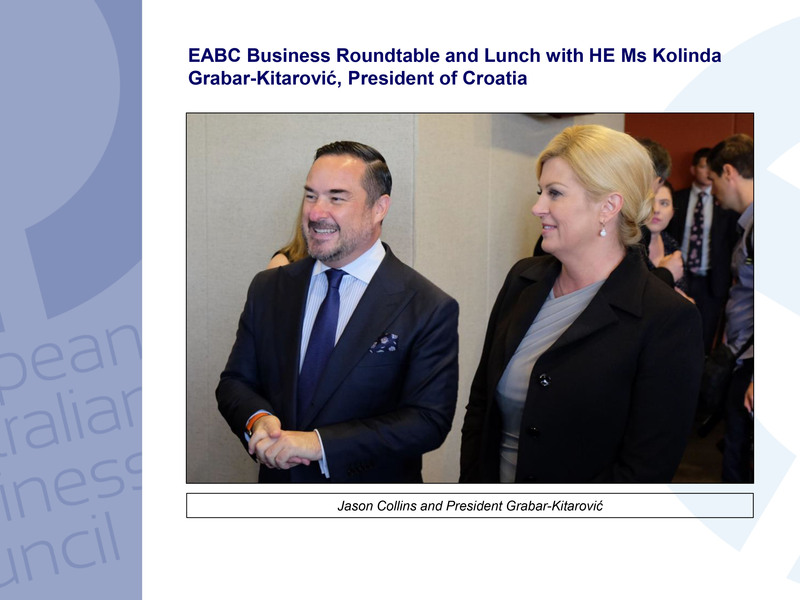 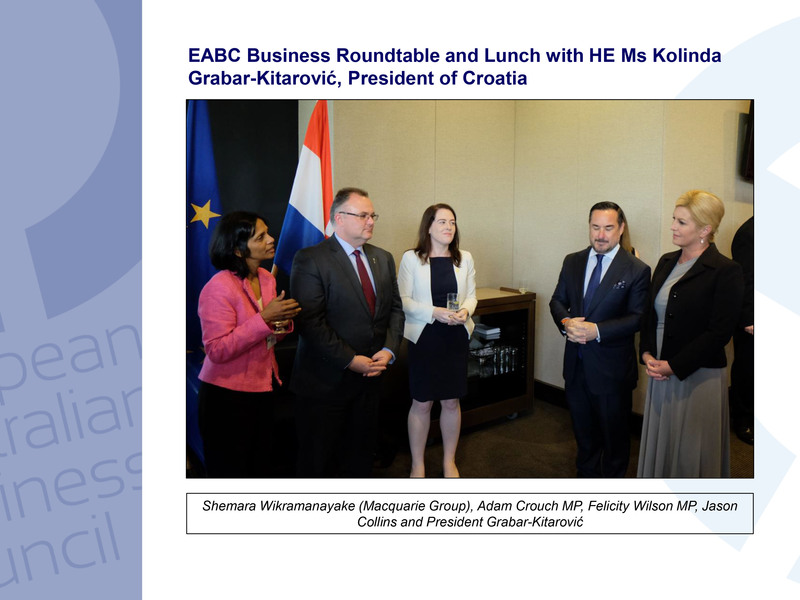 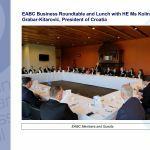 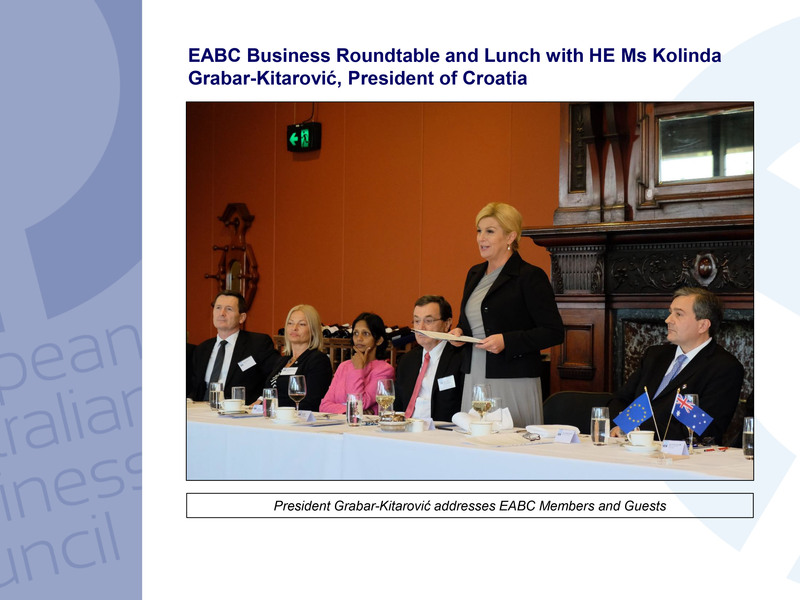 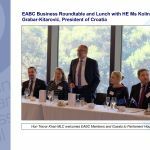 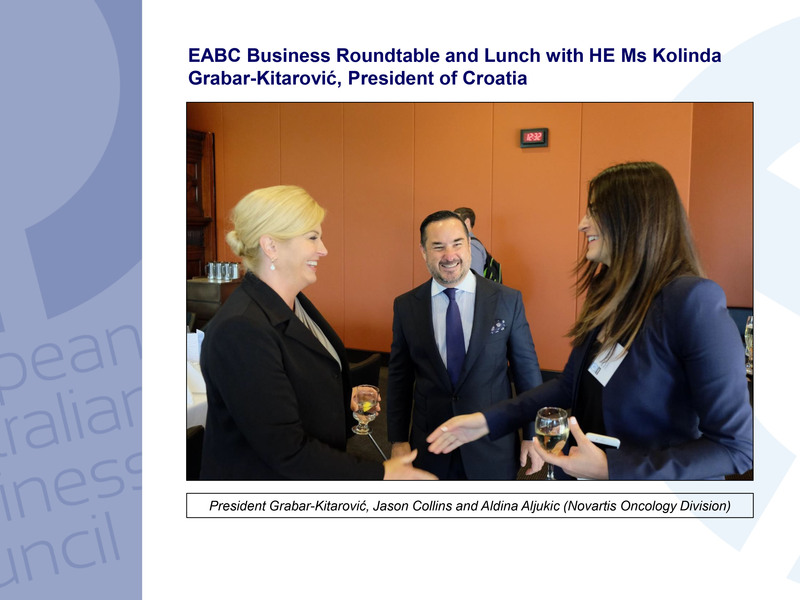 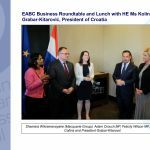 On Monday, 14th August 2017, at the Council’s Forum and Lunch, HE Ms Kolinda Grabar-Kitarovic, President of the Republic of Croatia spoke of the rapid economic recovery underway in Croatia after a period of sharp economic downtown. 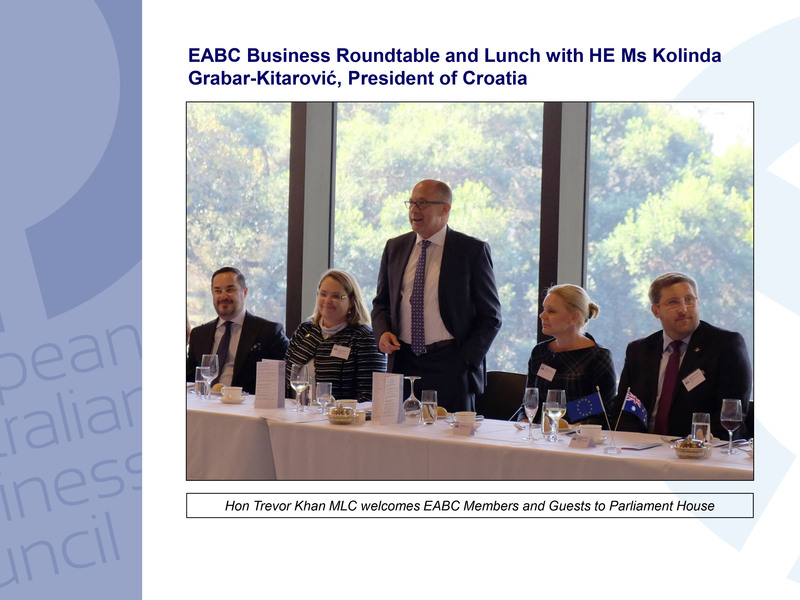 The event was held at Parliament House Sydney with the Hon Trevor Khan MLC, Deputy President of the Legislative Council as parliamentary host, and many of his parliamentary colleagues who were present along with the four presidents of the Croatian Chambers of Commerce from around Australia and our very own President Vinko Sikic. 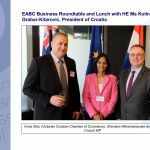 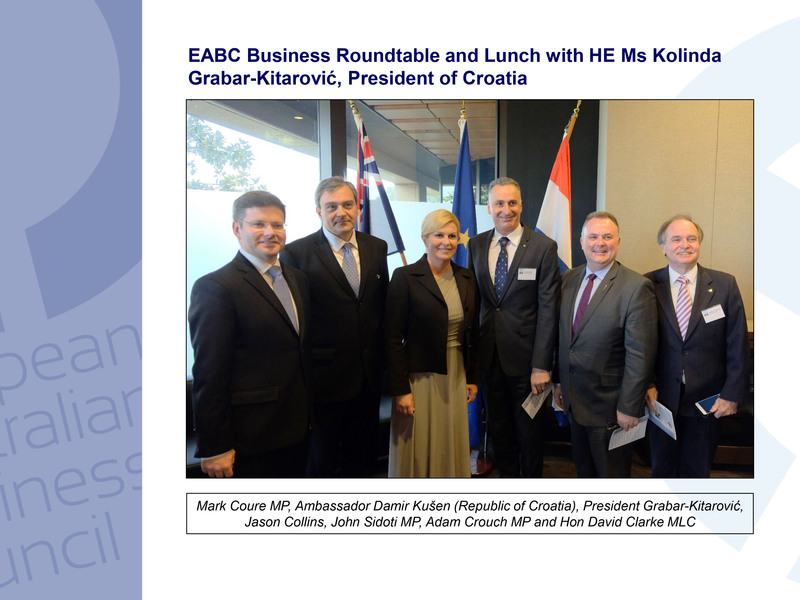 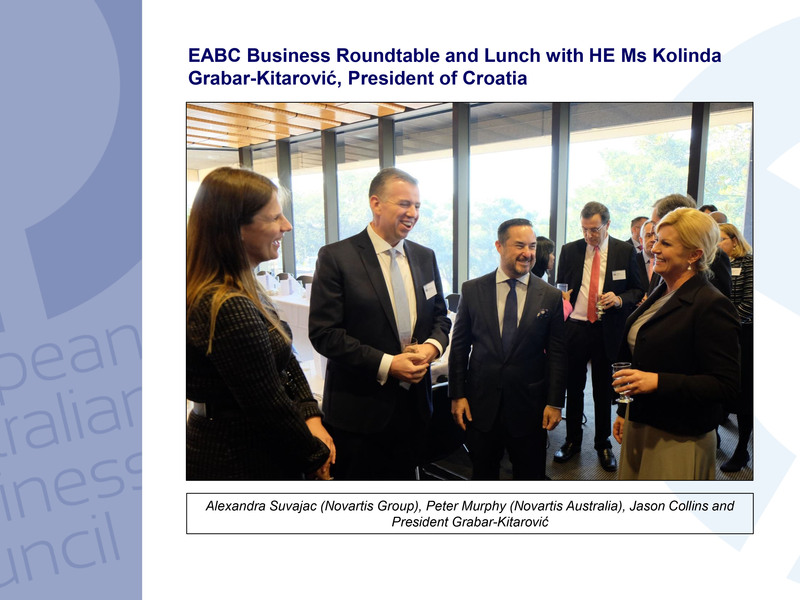 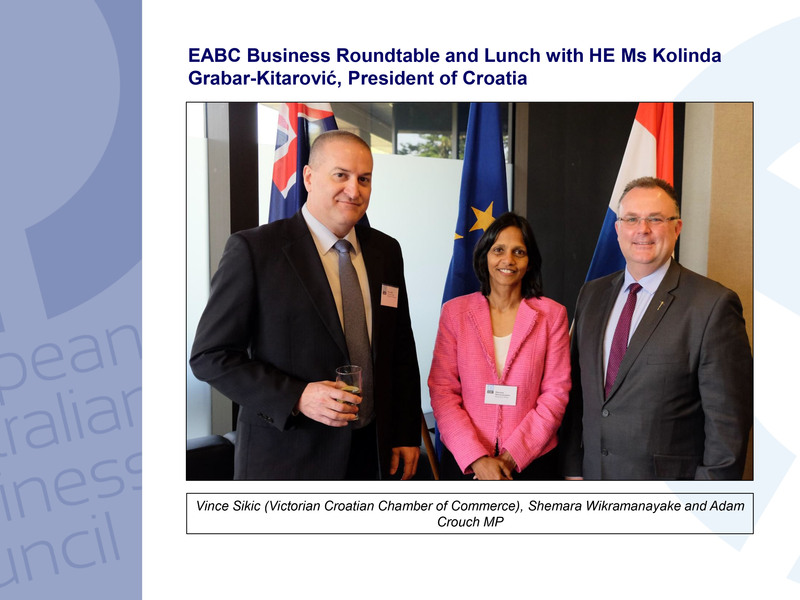 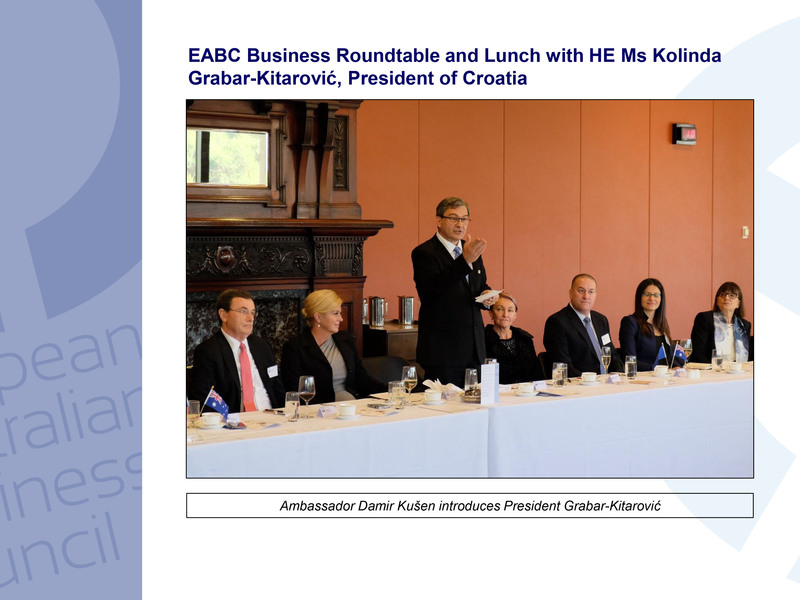 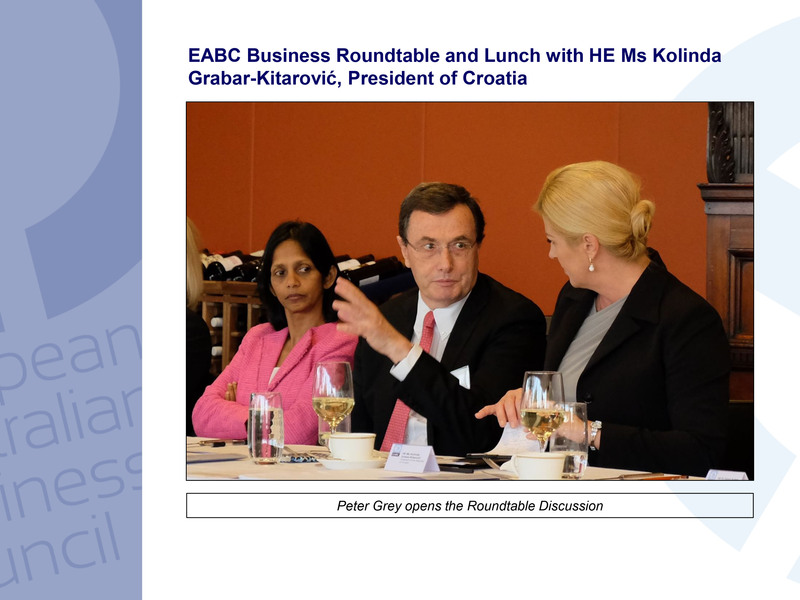 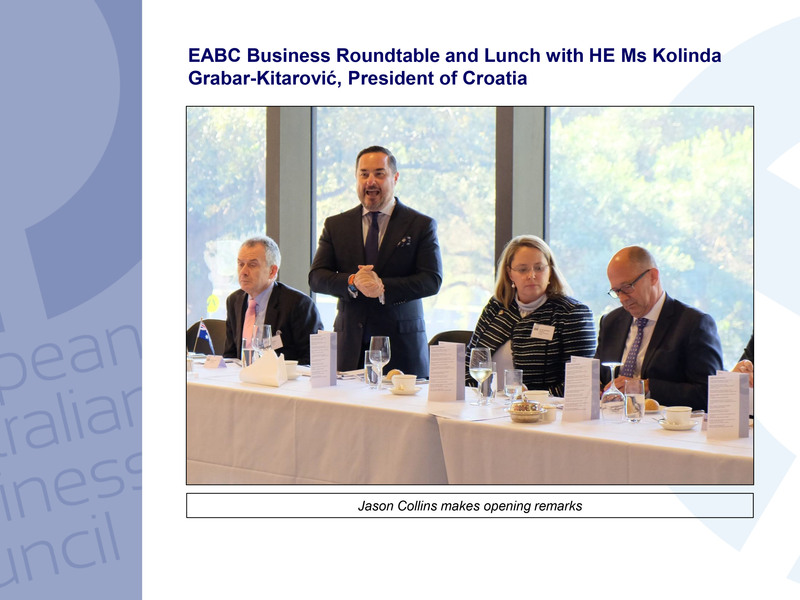 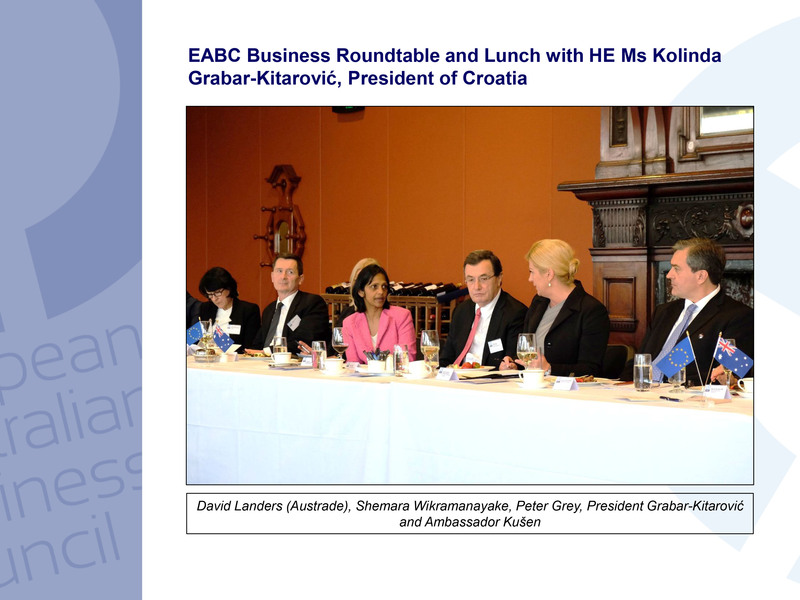 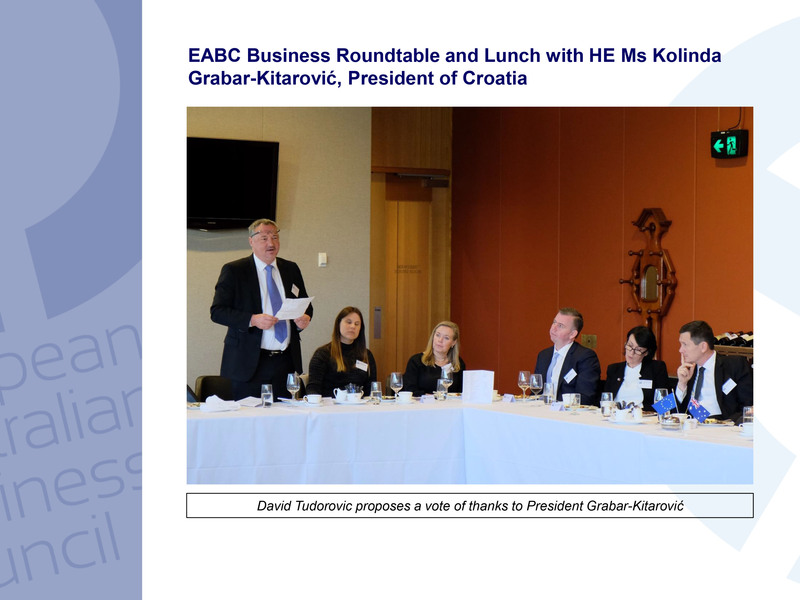 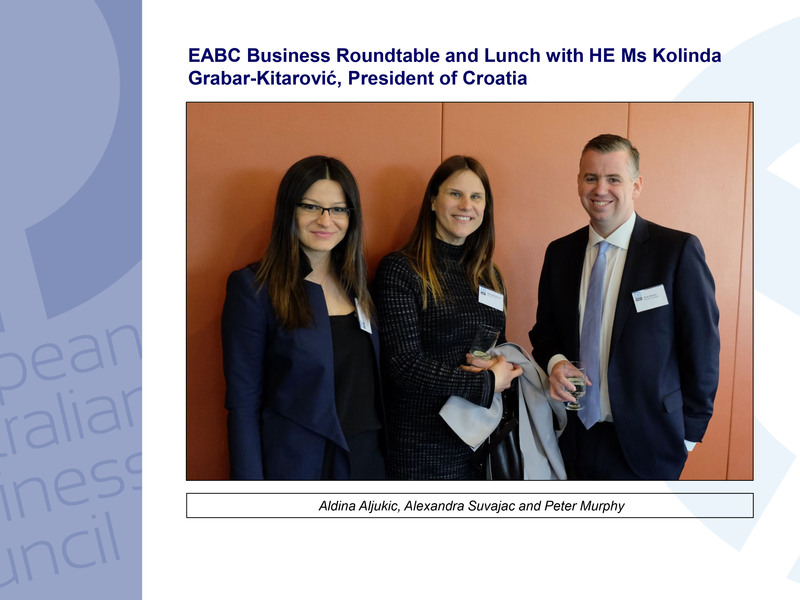 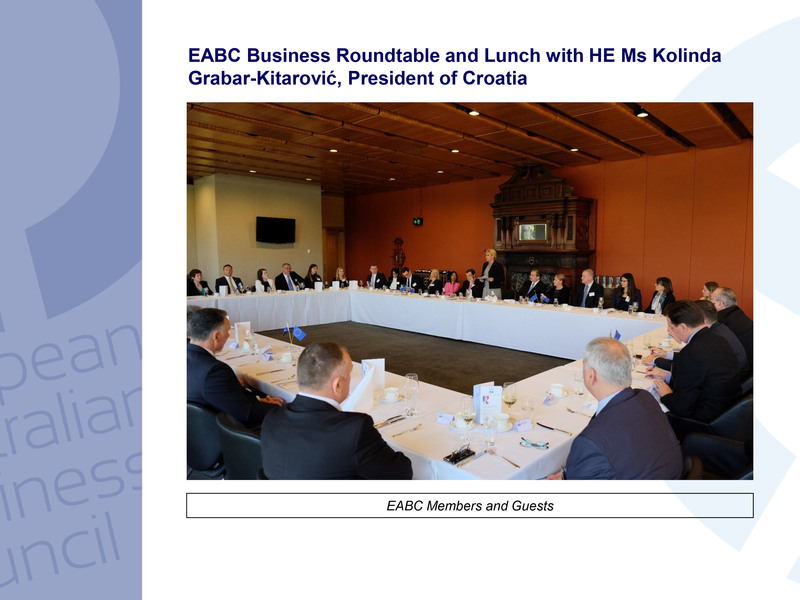 As a relatively new member of the European Union, Croatia has engaged fully with European partners and seeks to expand relations with partners around the world, including Australia, where a vibrant Croatian diaspora has prospered. 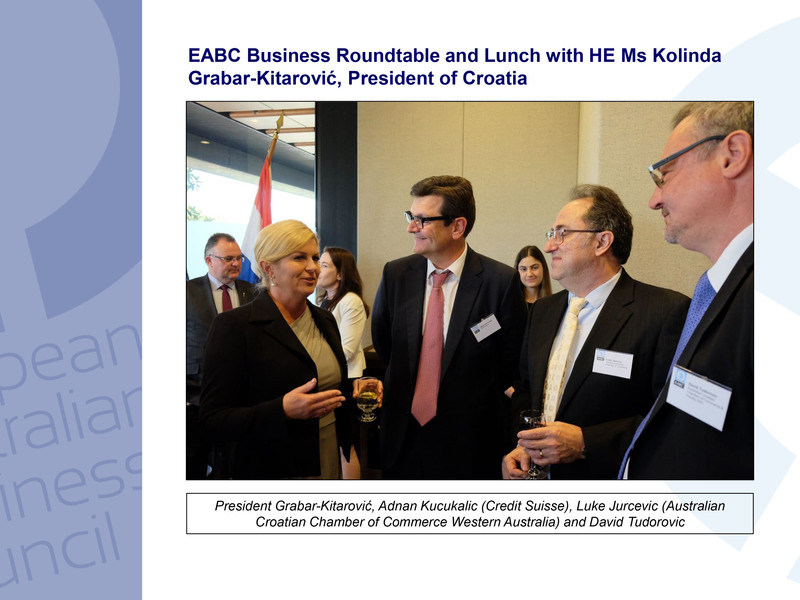 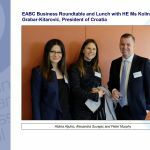 Croatia seeks investment partnerships in a range of sectors including infrastructure, energy, tourism and the maritime sector, with several Australian companies already involved in these sectors. 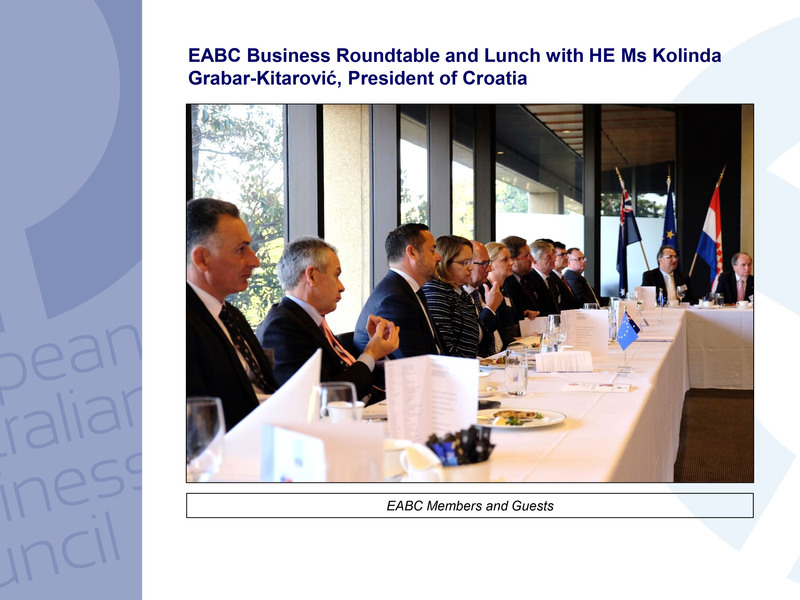 The recent visit of Foreign Minister Julie Bishop to Croatia underlined the commitment to working more closely together on a range of shared challenges, with the President assuring Australian representatives of Croatia’s support for the upcoming EU-Australia free trade agreement negotiations. 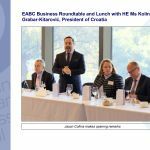 A lively discussion followed which covered topics including the present security challenges in Europe, illegal migration, the potential impact of Brexit, as well as detailed discussion on specific business opportunities including major infrastructure projects.